By David Skolnick | October 3, 2017 at 12:05a.m. Developer Dominic Marchionda and affiliated businesses were indicted today on 105 criminal counts related to alleged corrupt activity, theft, and money laundering related to three development projects in the city. The 73-page indictment, unsealed Monday by a Mahoning County grand jury, also alleges an unnamed city official – “John Doe 8” – helped Marchionda in exchange for a $25,000 bribe in spring 2009. Bozanich, who couldn’t be reached Monday by The Vindicator to comment, hasn’t been charged, and Mayor John A. McNally said he has no plans to fire or discipline the finance director. A source said authorities are investigating Bozanich for a possible indictment. Bozanich had search warrants executed on his house and the residence of his girlfriend, where he was living, on July 6. 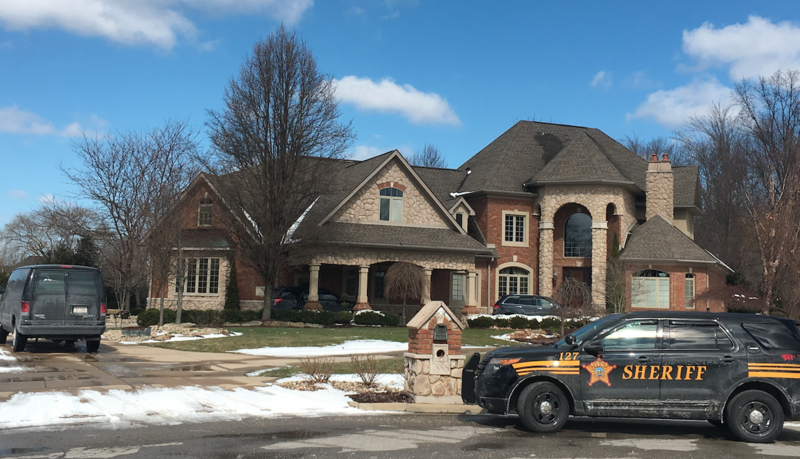 Also, on the same day as Bozanich’s raid, investigators seized money and computer equipment from the home and law office of Atty. Stephen Garea as part of this investigation. Garea served as Marchionda’s attorney on the deals with the city. He hasn’t been indicted. Authorities seized records March 16 from Marchionda’s NYO Property Group offices in downtown Youngstown and at his Poland home on Via Atillio. Dan Tierney, an Ohio Attorney General’s Office spokesman, said the investigation is ongoing and declined to comment on any future indictments. The investigation accuses Marchionda, 58, of misusing money obtained from the city as well as the state and federal governments for the Flats at Wick student housing complex and projects to turn the Erie Terminal Place and Wick Towers into downtown apartments. The crimes are alleged in the indictment to have occurred between May 1, 2009, and Jan. 1, 2016. The case was investigated by the Ohio Auditor of State’s Public Integrity Assurance Team with the assistance of the county sheriff’s department. The Ohio Attorney General’s Office is serving as special assistant prosecutor with the county in this case. Also indicted Monday were Marchionda-run companies Rubino Construction Inc., U.S. Campus Suites LLC, Erie Terminal Place LLC, Wick Properties LLC, and Villas di Tuscany LLC. Marchionda and the companies are scheduled to be arraigned Oct. 10 in common pleas court. “Allegations such as those contained in this indictment must be treated seriously and investigated thoroughly. This investigation and prosecution is a collaborative effort among several offices, and I want to thank the Auditor of State and officials in Mahoning County for their efforts,” said Attorney General Mike DeWine. “Marchionda used city of Youngstown monies beyond the express or implied consent to pay personal debt, to pay cost[s] unrelated to the purpose for which the funds were provided to Marchionda and in doing so provided false billing records to city of Youngstown officials,” the indictment reads. In the case of Flats at Wick, U.S. Campus Suites LLC, a company controlled by Marchionda, received $1.2 million from the city’s water and wastewater funds and then sent $1 million back to the city to buy a fire station property on Madison Avenue on the North Side for the project. Once the city received the $1 million, it was “placed into the general fund of the city of Youngstown in violation of Ohio law under the direction of David Bozanich,” the indictment reads. McNally said city council reviewed and approved the fire station deal in 2009, and the board of control – the mayor, law director and finance director – determined it to be appropriate. The city in 2011 gave $350,000 in water and wastewater funds to a company owned by Marchionda that developed Erie Terminal and then $220,000 two years later for improvement work at that property. Also, $500,000 in water and wastewater funds went to a company owned by Marchionda in 2015 for the Wick project. Among the numerous allegations against Marchionda is he falsified payroll records for the Wick project to secure a $5 million state-energy loan. A Marchionda company is developing a DoubleTree by Hilton hotel at the downtown Stambaugh Building that is slated to open in March. A theft count in the indictment accuses Wick Properties LLC of using between $7,500 and $150,000 in city funds that was supposed to go to Wick Towers for the hotel project. The indictment also accuses Marchionda of theft related to his improperly taking between $1,000 and $7,500 from the Rich Center for Autism. October 2, 2017 12:54 p.m.